This is .308 Winchester (7.62x51) Federal American Eagle 168gr. Open Tip Match Ammo. 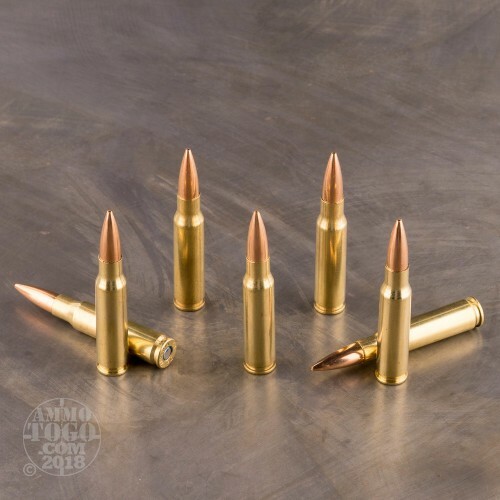 This Federal ammo is designed to function in a Springfield M1A. 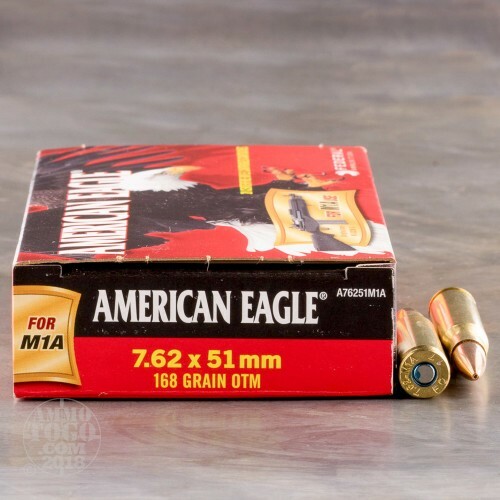 This is great shooting ammo at reasonable price. 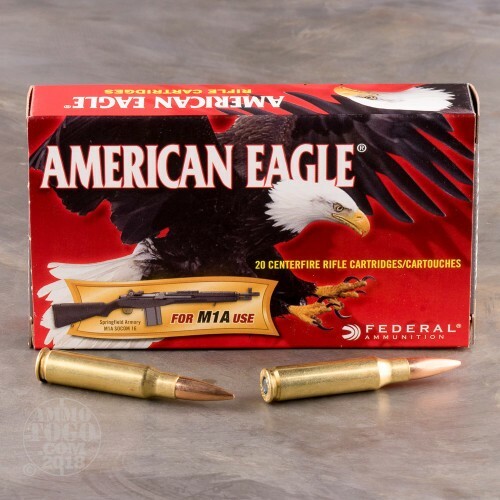 This ammunition is new production, non-corrosive, in boxer-primed and has reloadable brass cases. 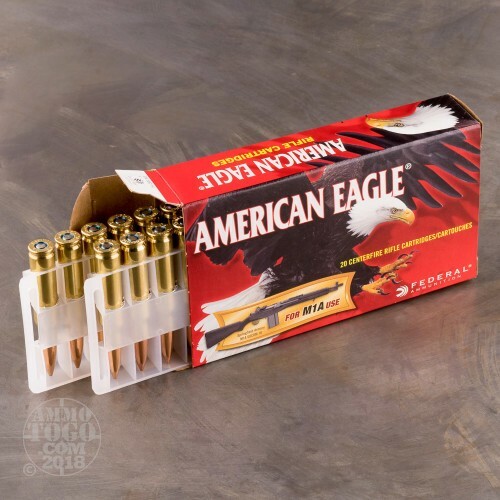 This ammo comes packed in 20rd. boxes. I've been using this ammo for the past 2 years in my Springfield standard M1A with no failures whatsoever. Accuracy is phenomenal with a Leupold Mark 4 10x. I'm getting 1.5 M.O.A. at 100 yds. Although before I switched out the factory guide rod and gas piston with Sadlak goodness, I was getting 2 m.o.a. at 100. Still great accuracy for the trusty M1A. Even when run through my FN-FAL I'm getting very respectable groups with open sights at 100 yds as well. I will continue to purchase this ammo as long as its available. I have been using this for 2 years in a DPMS LR 308 and in an Armalite AR10 and now also in an FN SCAR 17 and it has performed flawlessly, In the DPMS and in the FN SCAR I get sub minute of angle performance at 100 yds and have shot the 24 inch bull barrel DPMS out to 500m yds and have gotten sub moa results several times. I LOVE this ammo. It is not Federal Gold Medal Match accurate but it is real close in performance most of the time. At this price it is hard to beat! I have tried out of a Rem 700 SPS tactical rifle with a 20 inch heavy barrel and have gotten super results as well but I generally use this in my Semi Autos only.